Paper Promotions are the original method of getting the word out. Big businesses send out mail to large suburban areas because this method is still so effective! Look around at all the paper promotions we’ve grown used to everyday; junk mail, brochures at checkout counters, and, magazines all have a ton of promotional material. Don’t count it out of your range just because you have an online store! Really? I have a phone in my pocket all day and I need business cards? Yes, you do! When you meet someone in person, how are you going to explain what your online business is? Don’t expect them to remember the website or any other pertinent information off hand ever. Having a business card with all of the details they need to find your online store is essential to gaining an in-person customer. If you are looking for investors, future employees or another business venture then you need business cards to look professional and have people take your online store seriously. While you are fashioning your business cards, take the same information and make it into an email signature to continue your professional theme. There are tons of websites online that help you create and order business cards, often with discounts on the first batch you order. 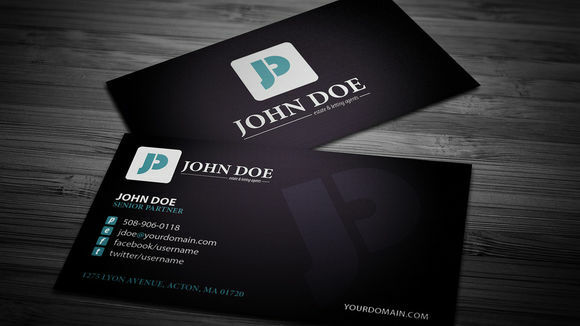 You are online all the time for your store, so you have no excuse to not have business cards! Flyers and brochures are other great paper promotions to have handy. Create a flyer and brochure in your spare time to have ready to go on your computer when you need it. You can order these online too, or plenty of print shops have good deals on color or white prints for relatively low cost. These are not essential to have immediately, so you can plan ahead and stall for a coupon or discount at the print shop to save some money. Why would I need to have flyers or brochures anyways? The same reason you need business cards, for in person customer encounters. A store might let you leave your brochure on their check out counter, or you could pass out flyers at a county fair. For a small amount of money and a little foresight, you get exposure to a wide range of customers of all ages and backgrounds that you aren’t getting online. This method also gets you involved with your community. Newspapers and local events have sponsors who they post ads for. Ads for these usually range from small to larger by pricing, so you can get exposure within your budget. Check out local activities, like county fairs, farmer’s markets or winter carnivals to promote your online store at. 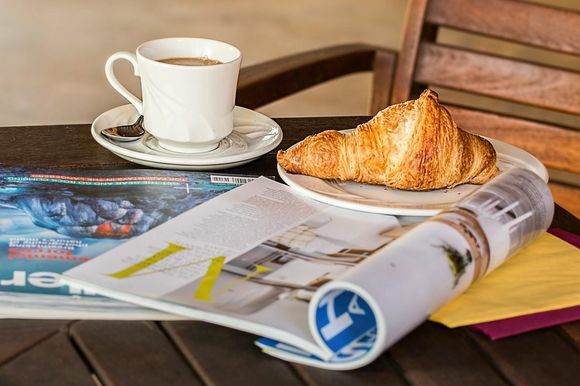 Local coffee shops, gas stations or libraries often let stores leave flyers or brochures for customers at their counters. Since you spent some money on getting printable promotions, make sure you have a promotion people will actually read! Have your name and contact information in at least 2 places. Have pictures and color strategically placed to catch their eye. A bright colored photo midway down the page usually captures their attention first, so put a picture of your best selling product there.Keep it clean and uncluttered, with pictures and descriptions of what your product can do for them. Think back to your email or subscription service, and use the most popular items from there on your flyers and brochures. Newspaper ads were mentioned above, but what about wider readership circulars like magazines? Magazines are another high-budget item in most cases. Magazines usually have a range of ads and prices, but the smaller ads get put in the back and are often not seen by the customers you want. A larger, full-page ad is the way to go, but these can be costly! Find a magazine that fits with your brand, and is specific to your online store niche. If you want to test the waters first, start with a smaller magazine that is well known but not a huge company. The pricing will reflect the size. Delve into some paper and online research before pitching an ad to them. What do the ads they have currently promote? What does your competition look like, and how can you stand out from the crowd? What issue of the magazine is the most purchased, and what kind of content does the magazine have? Tailor your ad to fit the magazine while still maintaining your online store brand to get customer’s attention. Should you Invest in Magazine Ads? Magazines are great for most products, since they sell a wide range of items in each issue. If you are selling a specific product, like hiking backpacks, look at survival and adventure magazines. For organic soaps or food items, look at health and wellness magazines. A wide-use ranging product sells excellently in magazines, but if you are selling a very specific product your promotion budget might be better spent elsewhere. For example, if you sell figurines then specific blog sites would bring in more traffic for you. Magazines are meant for products that fit into a general category- beauty, fitness, outdoors, or fashion for example. Products that are meant to be used in various ways, for life improvement, or on a regular basis sell much better in a variety of magazines. That being said, magazines that exclusively market specific figurines or collectables in smaller circles of readers are relatively common. Those kinds of magazines would be great for online stores selling these products to get ads in, since the customers are usually looking to purchase the items shown. Do some investigating to see what kind of magazine would work best with the products you are selling online. Paper promotions have a pretty wide-ranging readership and allow you to prepare for in-person meetings. Professional paper promotions make your online store reputation significantly more legitimate, and allow you to make a personal connection with unexpected customers. Don’t discount the old fashioned way of promoting; it worked very well for businesses before the digital age! Having online and physical paper promotions covers all of your bases and expands your audience. Now that we’ve covered multiple forms of promotions, the next Chapter will tell you how to create and continue eye-catching promotions to use for years to come.